New incentives on the Dart are expected this week. Fiat Chrysler is telling dealers in one region to consider cutting back orders of the Dodge Dart after the company said it is eliminating lease supports for the compact car. A dealer in FCA US' Great Lakes region said dealers were advised in early April by their district managers to restrict their Dart orders because of the lack of lease supports beginning in May. 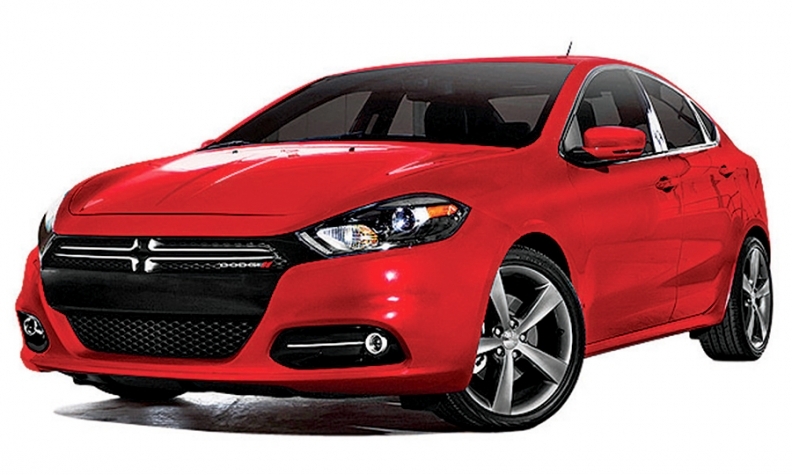 A spokeswoman for the brand denied that dealers had been told to consider cutting back their Dart orders, saying that Dodge was "pleased with Dart's sales performance." Dealers in the region have a stronger percentage of leases in part because of the large number of FCA employees and family members in the region. Some dealers in Michigan say that more than half of the vehicles they sell each month are leased. The lease supports cut monthly payments by about one-half, said one dealer who declined to be named. For instance, with subvention Dodge offered a 36-month lease on a Dart SXT for $159 a month, with $2,499 due at signing and no security deposit. Without the sub-sidies, the payment would be about $317 a month, the dealer said, on the same lease. A spokesman for FCA said the automaker changes its vehicle incentive packages monthly and said Dart lease subvention was being repurposed to encourage outright sales instead of leases of the compact sedan. The new incentives will be announced Tuesday, May 5. On a conference call with analysts last week, Richard Palmer, FCA's CFO, noted that the automaker's incentive spending would be reduced to improve the automaker's profits. FCA typically has lower residuals on its vehicles than competitors. So for leases to be competitive, they must be subsidized by a greater amount. The residual value of a vehicle is its projected market value after a lease. FCA's subsidiz-ed leases are financed exclusive-ly by Santander Consumer USA under the name Chrysler Capital. Other lenders offer leasing, but it is not subvented by the automaker. The subsidized leases, which started in mid-2014, contributed to increased sales of the Dart, according to figures compiled by IHS Automotive. This year, Dart sales in the United States through March rose 56 percent to 25,115 vehicles compared with the same period of 2014. April sales figures were unavailable at press time. The percentage of leased Darts climbed from 2.7 percent of Dart registrations to 10.9 percent year over year through February, data from consultant IHS Automotive show.